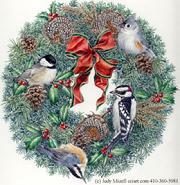 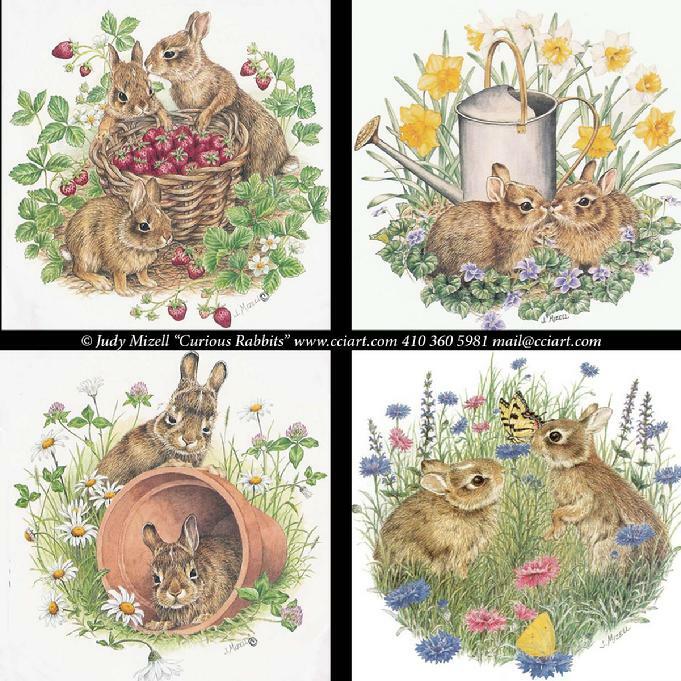 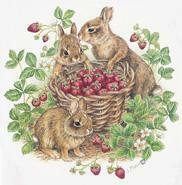 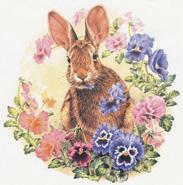 JUDY MIZELL, an ardent naturalist as well as a talented watercolorist, renders delicate paintings of birds, wildflowers and mammals. 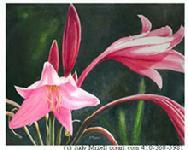 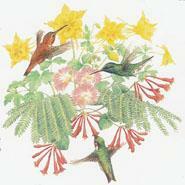 Working almost entirely in transparent watercolor, she achieves a skillful blend of beauty and authenticity. 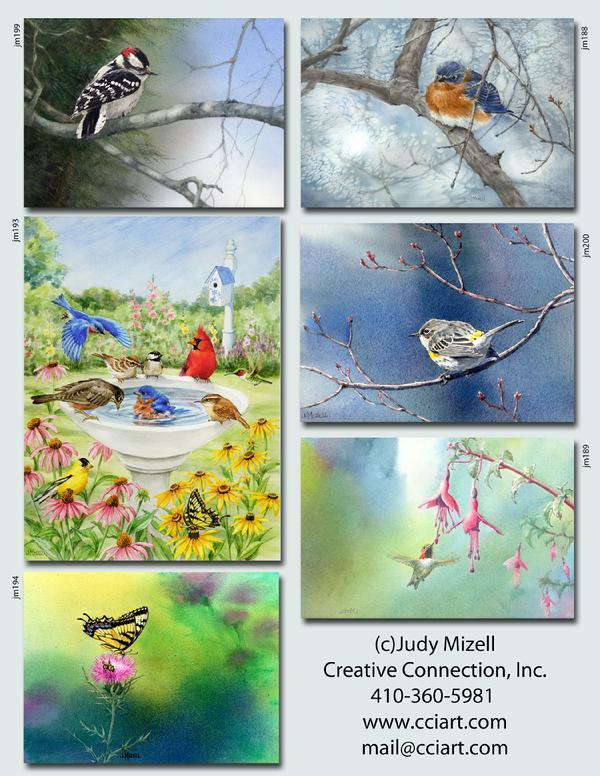 Judy feels a wildlife artist must combine artistic ability and creativity with extensive knowledge of subject and habitat. 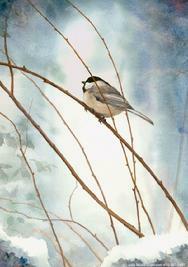 For this reason, she and her husband, Romie, travel across the country and abroad to research her paintings, and he records many of their observations on film to provide accurate references for her. 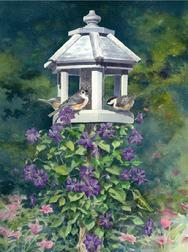 Frequently though, her inspiration is found closer to home in Mint Hill, North Carolina, where the Mizells have transformed their backyard into a friendly habitat for wildlife. 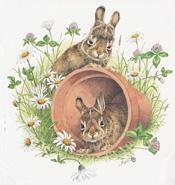 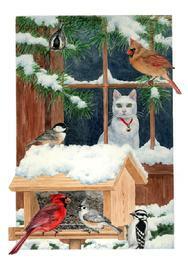 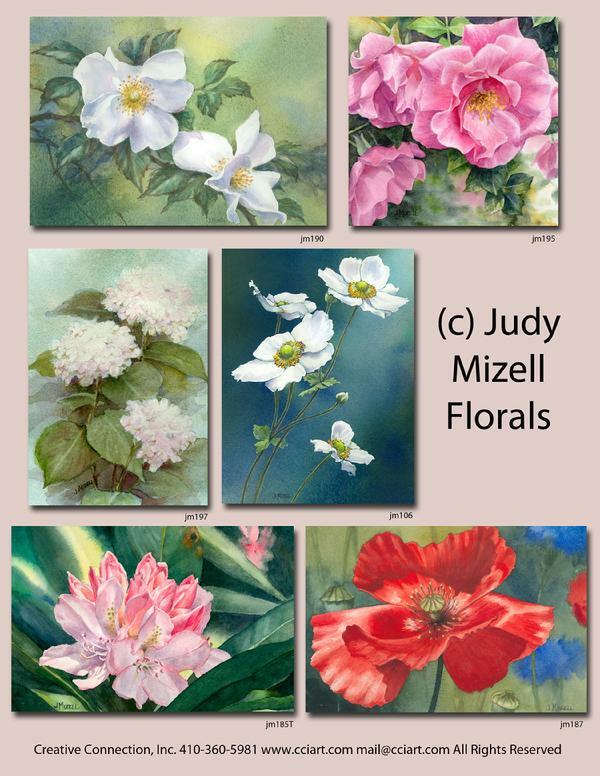 Many of Judy’s paintings capture these creatures in a garden setting.